Probably the most popular of all our products. Canvas Mounted prints are a contemporary classic way to show off your picture book studio experience and tell everyone your story. A truly unique and classic but contemporary look for your home. Hand stretched over a 18mm or 38mm thick frame. 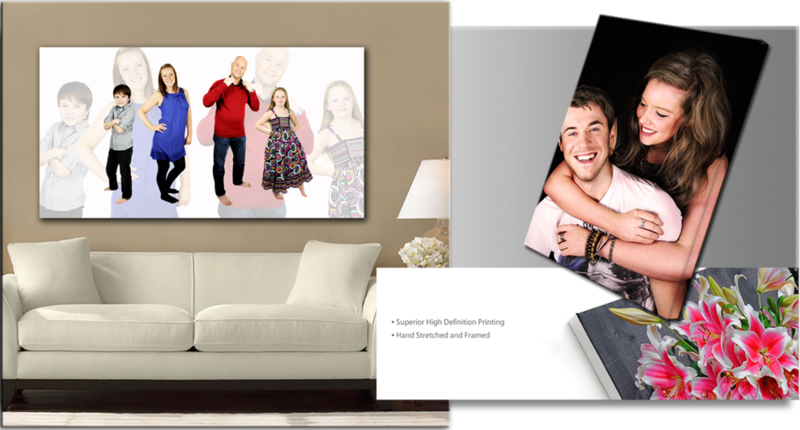 Choose your favourite image from your photoshoot and have it displayed as one canvas or choose several of your favourite images and opt for a 3 panel canvas display or even a collage of square and rectangular canvas prints. There is truly no limits. Rectangle, Square & Panoramic formats available. Any sizes available - we make to order.